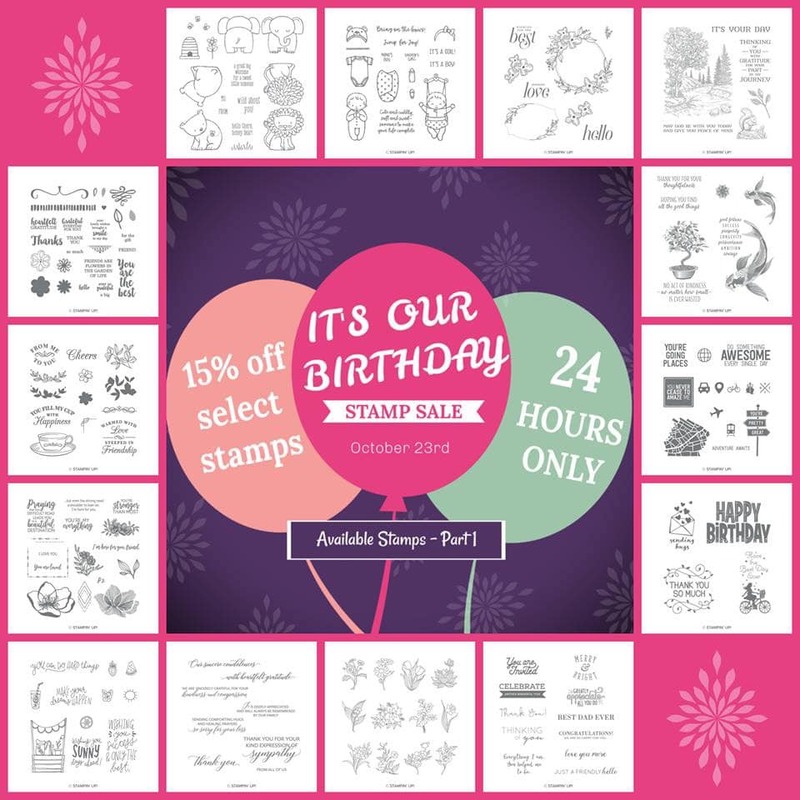 It's time to celebrate Stampin' Up's ® 30th birthday and we're having a special one day sale. Tomorrow, October 23rd, you can save 15% off on select stamp sets. WooHoo! I love a sale! This sweet deal is for just 24 hours and you won't want to miss it. Make your list...check it twice...and then just CLICK HERE to head over to my Online Store and shop til you drop. 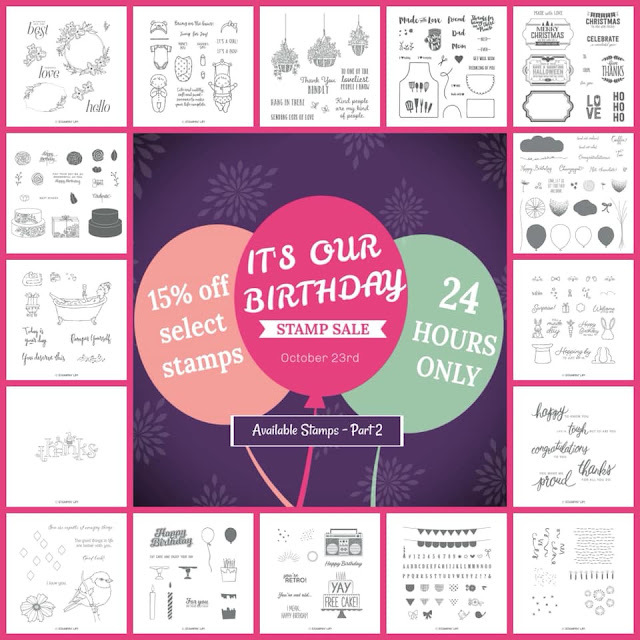 Join the celebration and take advantage of our 30th birthday present to you! I have to tell you...both of these were on my "must have" list as soon as I made my way through the Holiday Catalog the first time. There's just something about the Buffalo Check that says "Home" to me. I just love it. The background technique is one of my faves and it is so simple. I stamped the Buffalo Check in Bermuda Bay ink on Bermuda Bay card stock. I love it. The images from the Country Home stamp set are beautiful and right up my alley. 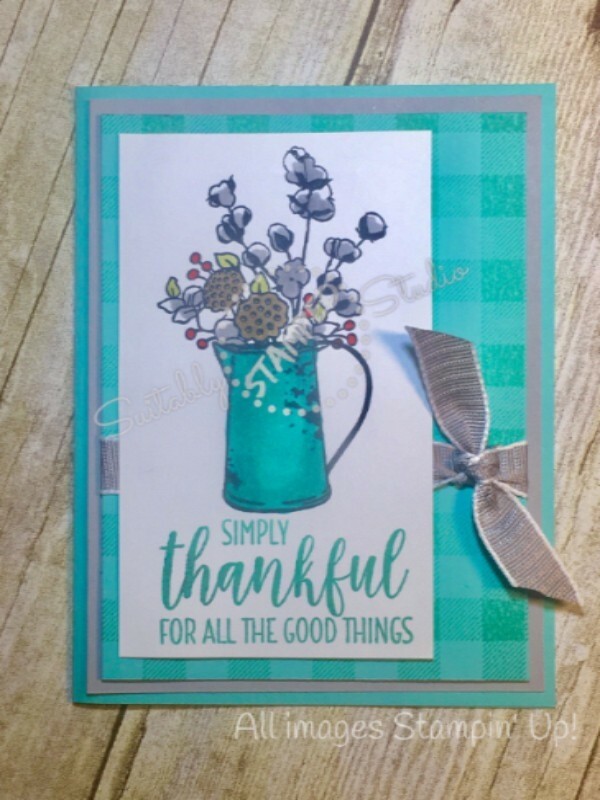 They are colored using Stampin' Blends and it really is a fun card to make. Here are the supplies I used. Just CLICK HERE to shop for the products you'd like using Host Code 2XGXW4UF. 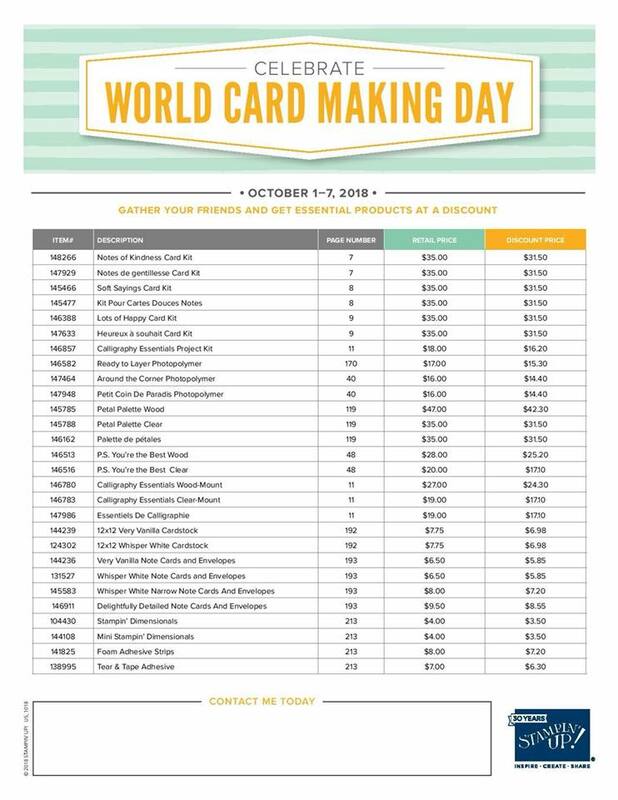 Don't forget the special this week for World Card Making Day. Check it out for great deals.